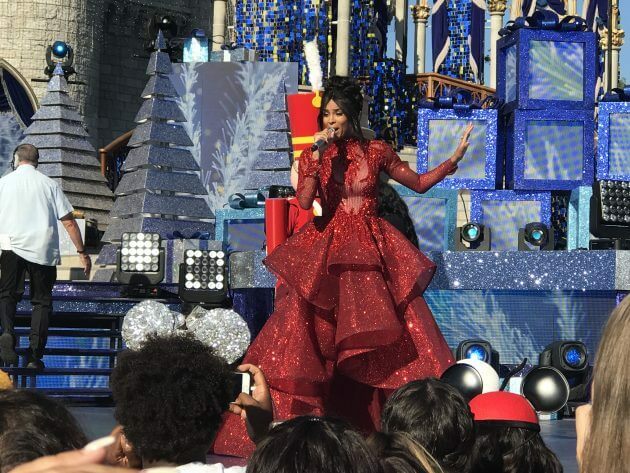 Today, guests of Magic Kingdom were in for a special holiday surprise as Fifth Harmony and Ciara performed outside Cinderella Castle for The “Disney Parks Magical Christmas Celebration” TV special to air on ABC. 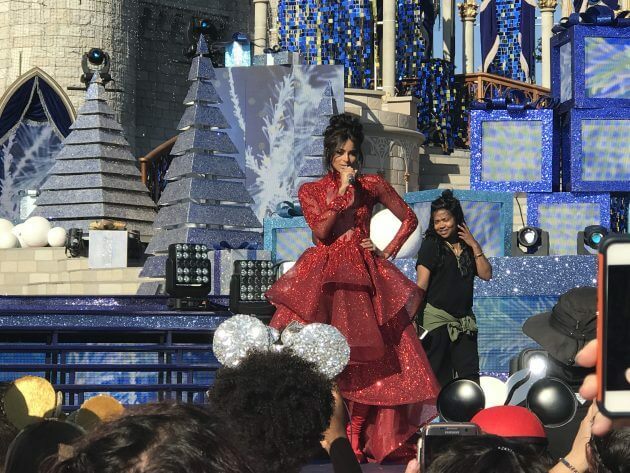 Disney Parks and ABC have teamed up in the past for enchanting holiday specials and this year they are back at it again with a whole new lineup of popular stars. 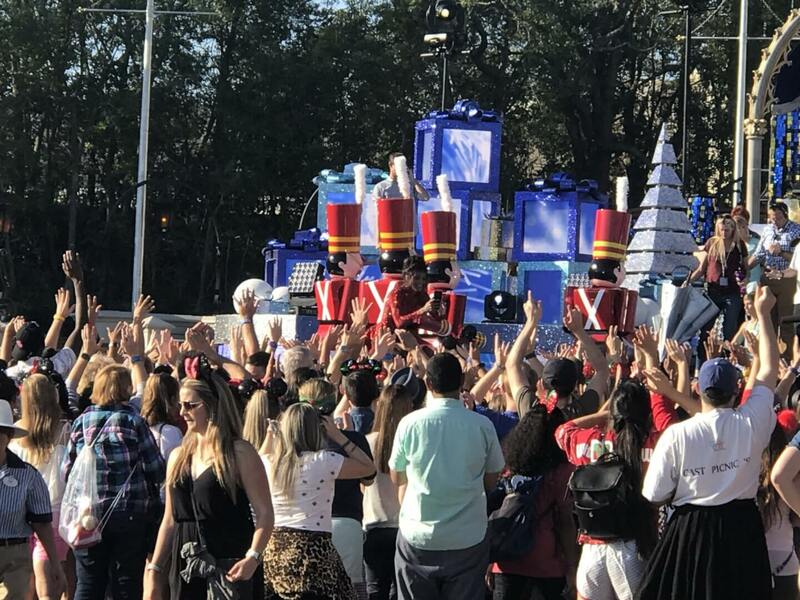 These holiday specials are perfect for getting anyone in the holiday spirit, especially for those who love seeing the Christmas decorations at the Disney parks. 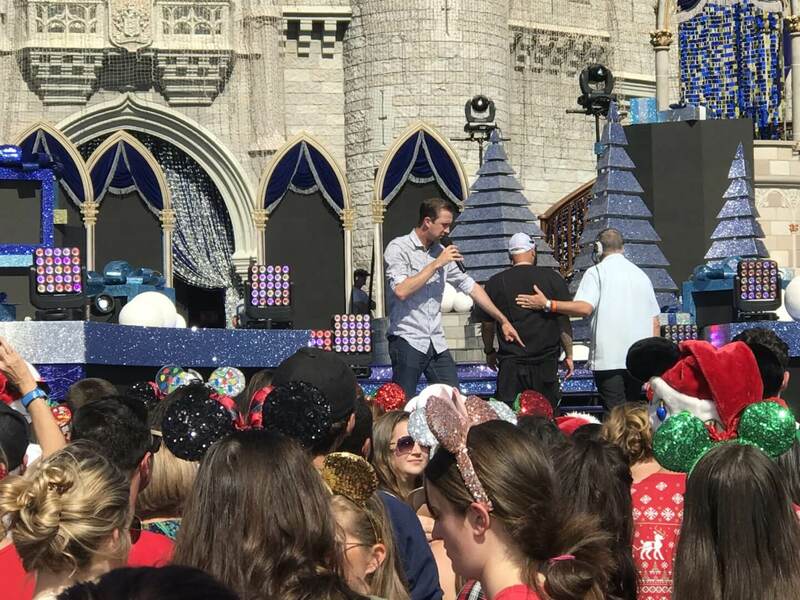 Similar to Sunday’s event, the taping of 98 Degrees and Fitz and the Tantrums, an emcee came out to kick off the day of shooting. 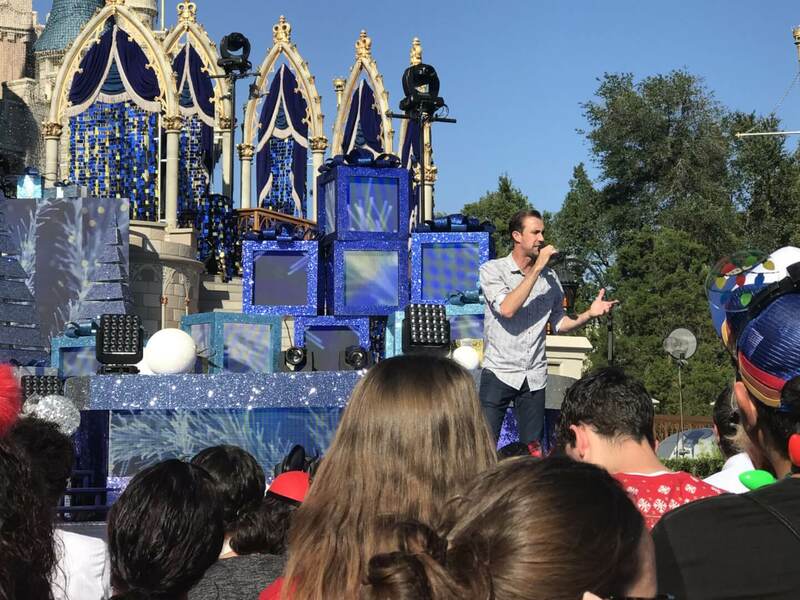 Cameron took the stage and discussed the plans for the day ahead, explaining that some musical numbers would have multiple performances and how the crowd should clap in beat with the songs being performed. He then went on to tell jokes and have a sing along with the crowd. Audio wasn’t being broadcasted aloud during the sound check so it was hard for the audience to keep up with the performance. After the sound check finished and the women performed for the cameras, the audio was fixed. Although, it was hard to hear the music over the clapping and screams of the audience. The ladies took a break and then did one last set to finish off their performance. 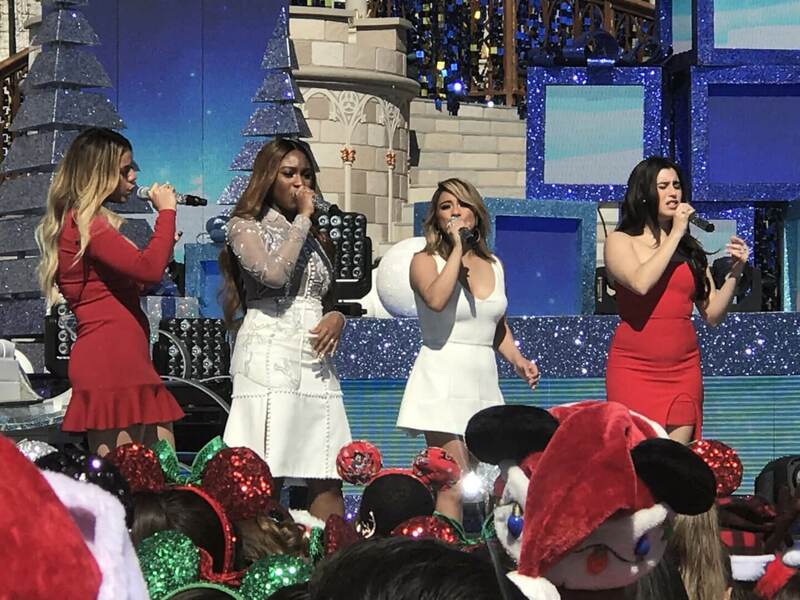 During the first break, Ally Brooke took the time to thank the audience for standing out in the hot sun while watching them perform. 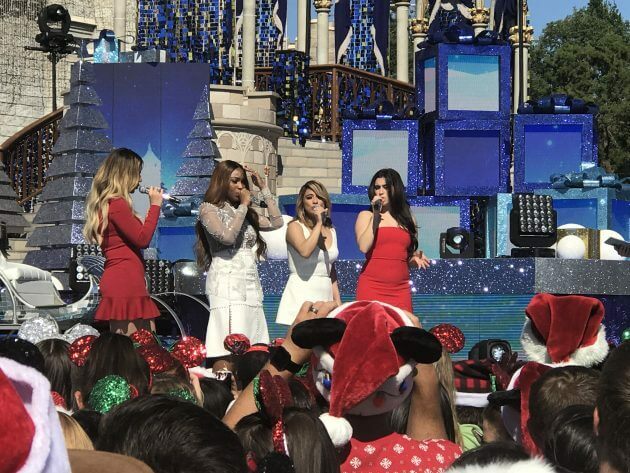 The ladies then left the stage and Cameron came back on to announce production was taking a break. 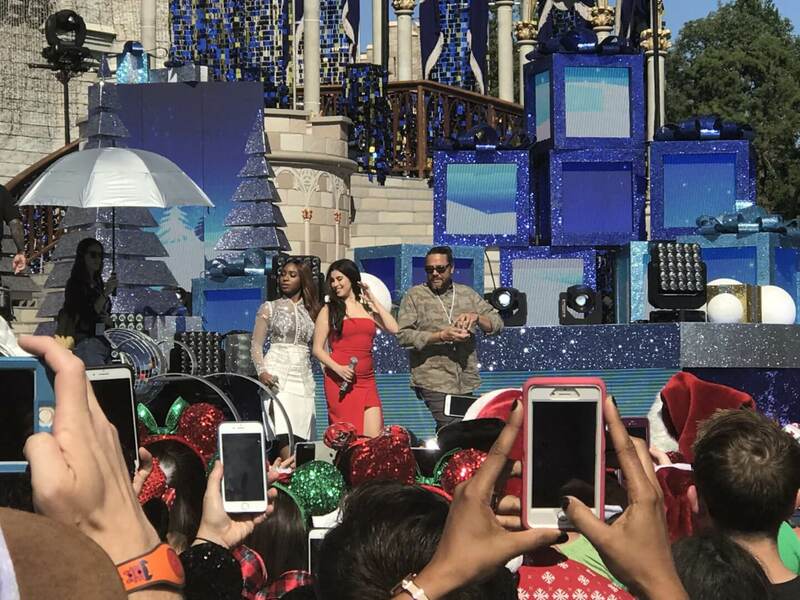 After the break, Cameron went back over the rules of the show and then Ciara took the stage. As she glided out in a stunning red sequined dress, the audience screamed so loud the yells could be heard echoing off of Cinderella Castle. 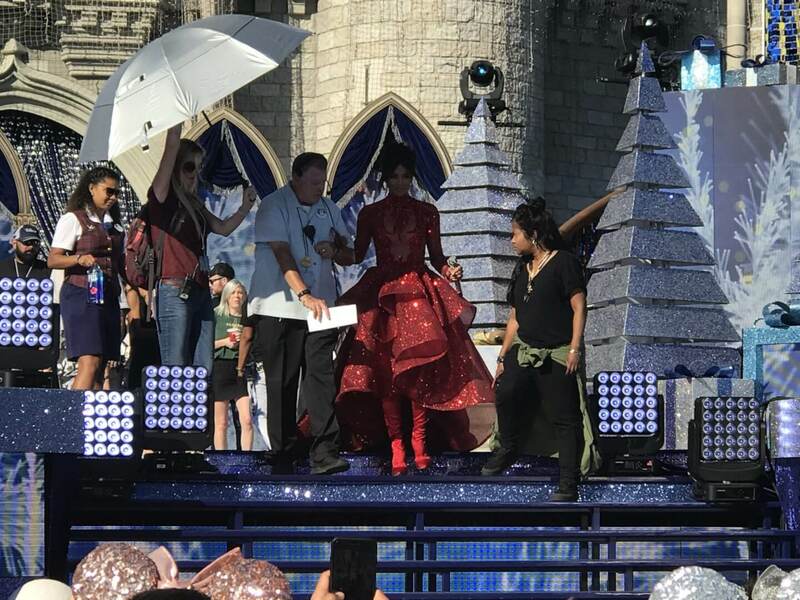 During her sound check a small army of toy soldiers took the stage behind her with the help of production members. 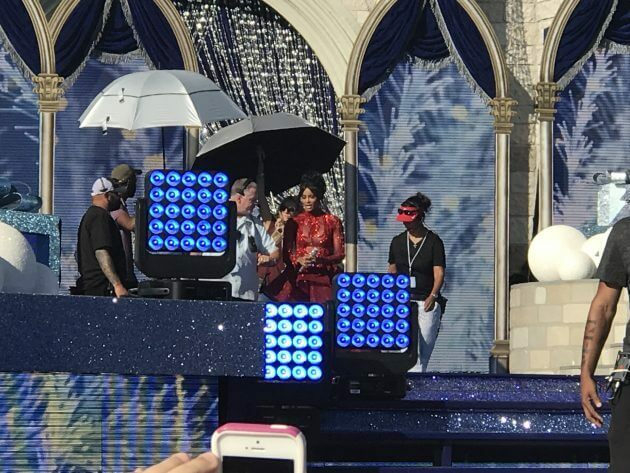 After the sound check Ciara took a small break and she and the toy soldiers took their places to reset for another take. Ciara performed to the cameras for the first time, nailing the take. During the performance her back up toy soldiers danced and moved around the stage. After the first take Ciara did another with pyrotechnics. The second take ended with fireworks blasting into the sky behind Cinderella Castle. Ciara then took another break and did one last performance. 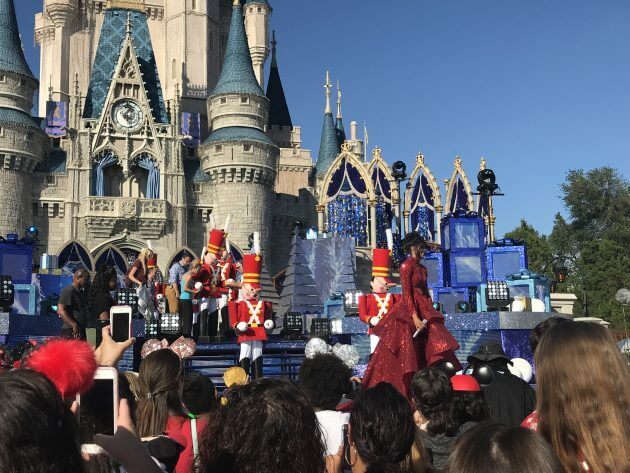 After her final performance Ciara posed for a picture with the crowd and her toy solider army. 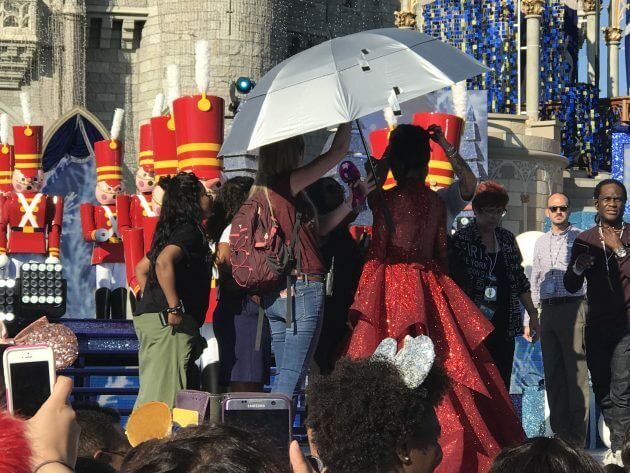 She then walked around the front of the stage with her iPhone and got a social media video story of the crowd. Ciara will be back later tonight at 6:00 PM to perform again, similar to Fifth Harmony who have another performance scheduled tonight at 6:45 PM. All of today’s performances can be seen when the special “Disney Parks Magical Christmas Celebration” airs on Christmas Day, Monday, December 25 from 10:00 AM – 12:00 PM ET. To see the full list of performers at the event, be sure to check out our earlier coverage.